Larson Electronics, an industrial lighting company, has announced the release of a 12 watt explosion proof mini LED light equipped with an adjustable surface mount bracket and a 200-lb grip magnetic base. 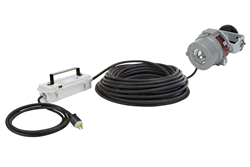 The low profile design makes it ideal for tank inspections and other close work activities where a portable, yet powerful lighting solution is needed. The EXHL-TRN-LE1-XLV-M-100 mini explosion proof light from Larson Electronics produces 1,320 lumens of high-intensity light for illuminating within hazardous areas and potentially explosive work environments. This unit is Class 1 Division 1 rated, NEMA Type 3, 4, 4X, 7 (B, C, D) and 9 (E, F, G) rated, and designed to withstand the rigors of demanding environmental and operating conditions. It can operate in temperatures of -40° Celsius to 60° Celsius, is waterproof to three meters, and resists ingress of dust, dirt, and humidity. 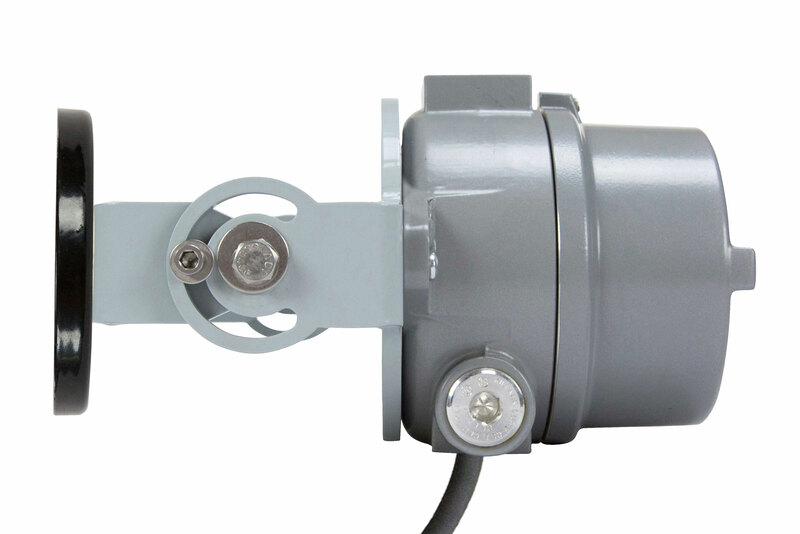 This explosion proof LED light fixture operates on voltages ranging from 120-277V AC. This input voltage is then stepped down to either 12V DC or 24V DC to operate the light via an inline transformer. The transformer is encapsulated to make it weatherproof, but it is NOT explosion proof and must remain located outside of the hazardous area. This explosion proof light features an adjustable surface mount bracket attached to a 200 pound grip magnetic base. Operators may securely and quickly mount the light on a magnetic surface for hands-free lighting in hazardous locations and confined spaces. After mounting, operators can adjust the angle of the LED fixture by tilting the light head up and down to reach the desired position. The included 100 feet of cord located between the transformer and the light ensures plenty of length for maneuvering around the work space. Ten feet of cord extrudes from the transformer which is then terminated in an industrial grade cord cap for connection to common outlets.